Indiana is a great midwestern state, though it’s a bit on the eastern side. Indiana also blesses residents with a fascinating demonym; If you’re a resident of Indiana, you are technically (and now officially) referred to as a Hoosier. On January 12th of this year, the nickname for people from Indiana was officially changed by the Federal Government from “Indianans” to “Hoosiers.” To which we say “about time!” That official switch means Indiana is the first state to not have part of the state’s name contained in the nickname (like “Pennsylvanians). 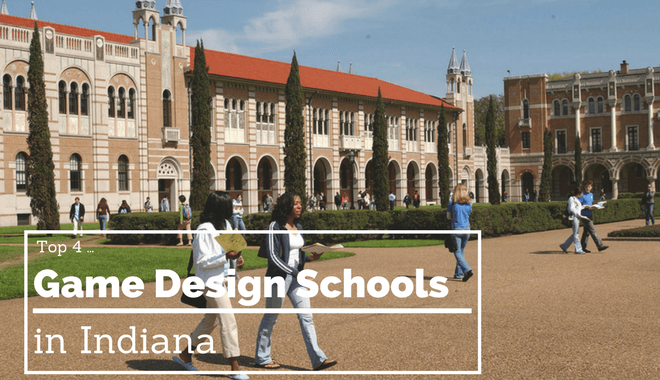 What does that have to do with game design schools? Very little! But it’s good to know about the state you’ll be calling home. And if you can win some trivia games along the way, that ain’t so bad either. Our methodology includes a few different ranking factors: Faculty caliber, alumni satisfaction, employment after graduation, and strength of the program. For now, worthwhile game design programs are few and far between. Indiana University Bloomington poses this question: “Why just play games when you can create them?” And we’re picking up what they’re putting down, since we’re making these guides to help you find the right place to do just that! They welcome anyone who wants to pursue games down any path. Whether it’s educational games, commercial games, or games that could help people understand the world’s problems, the staff at Indiana University Bloomington is ready to support you. The strength of Indiana University Bloomington’s game design program is not just the program itself. It’s the strength of the interdisciplinary opportunities. They have a world class music school, the Jacob School. Their art department is strong too. You have an opportunity to do more than just show up and shutter yourself away in a hermit dungeon. You have a very talented, very diverse student body to pull help from. 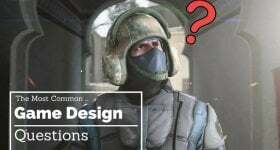 Need concept design help? Befriend an artist. Need some rock solid music for your RPG adventure? Hit up the music school. 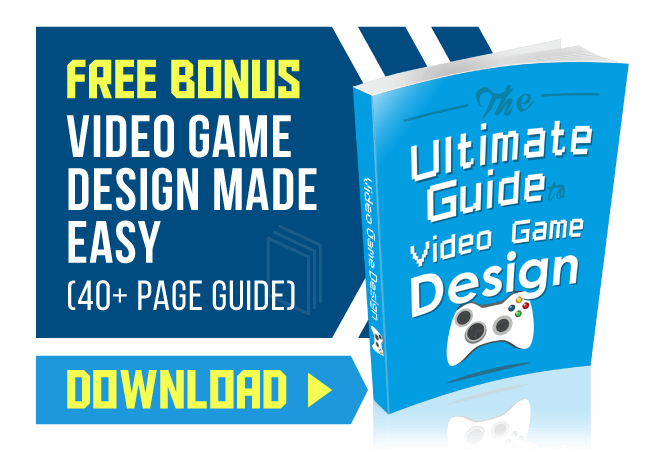 You’ll learn more about game design than just the obvious game design elements. You’ll learn elements of managing and business. You’ll learn audio programming, digital art, writing, and more. You’ll have a foundational knowledge base that will help you in all facets of game design, from concept to release. The program doesn’t assume any prior game design or game programming knowledge. They’ll get you up to speed and teach you everything you need to know, regardless of your starting point. It’s a very accessible program. Indiana University Bloomington is both friendly and welcoming. If you are at all nervous about how your lack of game design skills will be received… don’t be. All signs indicate that you’ll be accepted with open arms here. You might have noticed that the department for this program is the Chemistry, Computer Science & Mathematics Department. You also might have noticed that the program is under the “computer science” umbrella. Prepare for math. The curriculum guide for the Game and Application Development Major features a healthy mix of mathematics courses and game-related courses. For example, you can expect to take courses like Calculus and Physics. You’ll also be taking courses like 2D and 3D Composition, Intro to Animation, and Game Development. The general education requirements are perhaps where it gets most interesting. You’ll be required to take a course in Public Communication which may or may not be the worst thing you ever do (just kidding, public speaking really isn’t that bad. One required class that stands out is “Mass Media and Multi Media Law.” Copyright infringement, libel, slander, these are all things you have to be really careful around as you start producing your own games and your own content. You need to know your rights, first of all. You don’t want anyone walking all over you. Second, you don’t want to be caught on the wrong side of a judgement on these. The payout for damages tends to be a big and painful cost. It’s nothing you have to worry about right now, but the sooner you get a handle on it the better insulated you’ll be from litigation down the line. Another significant benefit of attending the University of Saint Francis Fort Wayne is the mandatory internship in the spring semester of your senior year. Creating games and enhancing your skills outside of the classroom is invaluable. The second most helpful thing could very well be finding an internship. It’s the best way to see how a part of the industry actually works before you’re kicked out of the nest that is college. Make it count! The general education here is definitely one of the more unique assemblage of courses we’ve seen as we put these lists together. If you’re into the technical and mathematics-driven side of game development, the University of Saint Francis Fort Wayne is certainly worth checking out. P.S. if you want to take a look at the full curricular breakdown for 2016-17 enrollees to get an idea of how your semesters at the University of Saint Francis Fort Wayne might go, here’s a link. Let us start by saying there is a 3D concentration available in both the BA and BFA tracks. The reason we didn’t list it is because 3D in this case refers to ceramics, sculpture, and metalworking. The 2D concentration contains the digital art elements one might erroneously expect to see in the 3D concentration. Intermedia, on the other hand, is described by the Indiana State University website as a combination of the other media concentrations: graphic design, 2D, and 3D arts. The more you know, right? If you’re looking to double major, or for a much more general education, then the Bachelor of Arts is the path for you. The studio credit-hour requirements for the BA are less than in the BFA program. That means you have more of an opportunity to complete electives, or minor and major coursework alongside your BA concentration. Regardless of whether you follow the Bachelor of Arts program path or the Bachelor of Fine Arts program path, you’ll be in for a portfolio review at the end of your sophomore year. The Art and Fine Art programs at Indiana State University both tout small class sizes. You’ll have the close attention you need from the faculty to make your work really shine. While none of these concentrations expressly mention game design, pursuing digital arts could lead to a career designing art for games. Indiana State University isn’t the perfect fit school that says “come here to make games,” but it can give you a strong digital arts foundation and open game design doors for you nonetheless. While not explicitly game design, the Media Design Major pretty much gets you as close as you can get. Indiana Wesleyan University offers drawing courses, 2D design, digital imagery, motion graphics, web design, 3D modeling and animation, color theory, interactive design, and more. The program prepares you for career opportunities in web design, multimedia design, 3D modeling and animation, audio, video, motion graphics, and more. You could see how those opportunities dance right around that of game design. If you’re not interested in such an apparent religious tie-in, then Indiana Wesleyan University is not the school for you, and that’s ok.